Today, Russia’s foreign policy in Southeast Asia is getting increasingly centered on both the development of both bilateral ties with all the countries of the region along with establishing good relations with the ASEAN as a whole. Among the pivotal Moscow’s foreign policy goals in the region one can name the mending of bilateral ties with Vietnam, that have been traditionally strong, one can add the establishment of a free-trade zone with Singapore, along with the pursuit of of special relations with Cambodia, which the latter quite unexpectedly become one of Russia’s most trusted allies in the whole region. In principle, there is nothing strange about this development, since back in the USSR days Moscow played an important role in Cambodia’s policies. Back then it would strongly support the Cambodian Communist party, that would who overthrew the Pol Pot regime together with the Vietnamese army in 1979. Yet, it rather surprising after after the collapse of the USSR, Moscow’s ties with Cambodia have ceased to exist, even though a whole generation of politicians and experts that associated their views with the Soviet traditions and received higher education in Russia remained in power. One still can not forget how surprising it was to see no diplomatic mission to speak of after a massive embassy that operated in in Cambodia up until late 80’s disappeared. It is clear that the reason for this abrupt change in the Cambodia–Russia relations was governed by the belief that the foundation of USSR’s ties with Phnom Penh was purely ideological, which resulted in Moscow cutting down on all the bilateral projects with Cambodia. 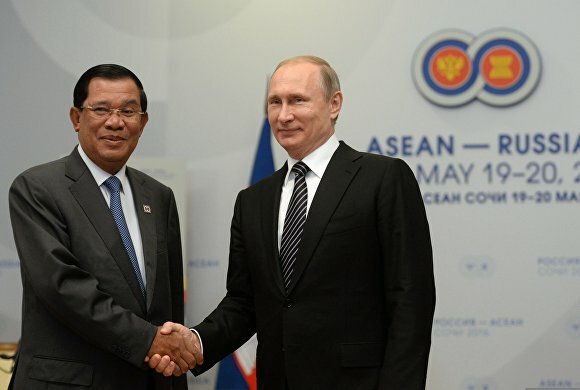 In turn, the Cambodian side was soon to discover Russia’s reluctance to invest in its economy, which resulted in the loss of all interest Cambodian politicians used to have towards Moscow. But the situation is drastically changing now with Russia’s foreign policy now aimed at the restoration of bilateral relations and trust with Phnom Penh. And the more complicated the relations in the Hanoi-Beijing-Moscow triangle get due to the territorial disputes that Beijing and Hanoi have in certain areas of the South China Sea, the more important Moscow’s relations with Cambodia and a number of other players get. It’s curious that Russia’s, Vietnamese and Chinese interests coincide in many aspects in Cambodia. All of the above mentioned states are interested in ensuring that Prime Minister Hun Sen, the head of Cambodian People’s Party will win the 2018 election campaign. It is expected that in the sitting government is going to be seriously challenged by pro-American and Pro-Western political forces that are centered around the Kampuchean United Front for National Salvation – the largest opposition party led by a populist nationalist Sam Rainsy. This figure is known for his frankly anti-Vietnamese and nationalist statements, along with the mention of the territorial claims that Cambodia may put forward against Vietnam, so it’s hardly a secret to anyone that if he ever comes to power, the Cambodian-Vietnamese border will cease to be secure, with China also risking to lose one of its most trusted allies in the region. Yet, Russia will find itself at a loss as well. The possible change of the Cambodian government means Russia will lose an opportunity to settle the Cambodian debt issues in a rational way, with the latter reaching the staggering number of half billion dollars. 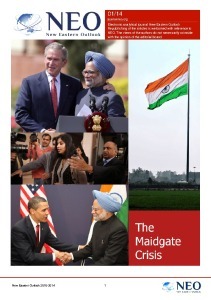 Additionally, Russia will be unable to restart the economic projects that came to the screeching halt back in 1990s. It goes without saying that both American and French emigrants that form the core Kampuchean United Front for National Salvation are relying on heavily on a web of non-governmental organizations (NGOs) sponsored by Washington, with the latter being pretty happy to drive a wedge between Cambodia and its traditional allies. At this stage, it’s clear that the relations between Moscow and Phnom Penh are rapidly recovering. This fact was stressed by Russia’s Foreign Minister, Sergey Lavrov after a meeting he held with his Cambodian counterpart back in 2016 in Moscow. 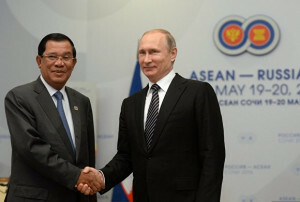 In turn, Cambodia’s Foreign Minister Prak Sokhon would expressed his gratitude to Russia for the firm position its been advocating in the Asia-Pacific on the need to preserve peace and security. Among other economic projects Moscow and Phnom Penh are planning to develop in close cooperation, one can name the prospects of a nuclear power station being built in Cambodia by Russia’s Rosatom, which ma y become one of the major infrastructure project for Phnom Penh. 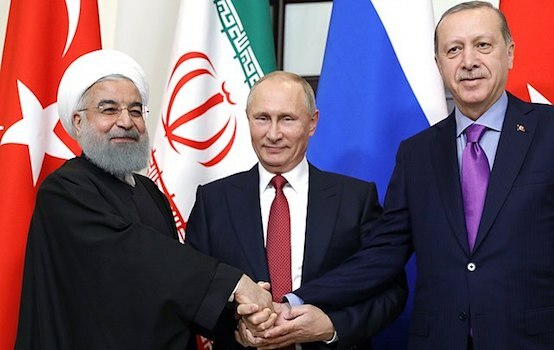 In addition to economic cooperation and rapprochement in the sphere of politics, it is likely that within the framework of bilateral rapprochement, Russia could raise the question about its intention to use Cambodian ports. Back in the 80s Soviet torpedo boats were stationed in Cambodia, now that Russian’s warships are making long trips from the northern seas to the Far East, they could really use a safe port to drop by.